14.03.19 06:13;Account;Receive;Received Payment 1.5 USD from account U19363969 to account U1294000. Batch: 250710873. Memo: API Payment. Withdraw to allhyips from crypto-trader.cc. 14.03.19 06:13;Account;Receive;Received Payment 1.5 USD from account U19363969 to account U1294000. Batch: 250710863. Memo: API Payment. Withdraw to allhyips from crypto-trader.cc. 15.03.19 06:35;Account;Receive;Received Payment 1.49 USD from account U19363969 to account U1294000. Batch: 250888543. Memo: API Payment. Withdraw to allhyips from crypto-trader.cc. 17.03.19 06:10;Account;Receive;Received Payment 1.5 USD from account U19363969 to account U1294000. Batch: 251211561. Memo: API Payment. Withdraw to allhyips from crypto-trader.cc. 16.03.19 06:10;Account;Receive;Received Payment 1.51 USD from account U19363969 to account U1294000. Batch: 251056128. Memo: API Payment. Withdraw to allhyips from crypto-trader.cc. 18.03.19 06:10;Account;Receive;Received Payment 1.5 USD from account U19363969 to account U1294000. Batch: 251375186. Memo: API Payment. Withdraw to allhyips from crypto-trader.cc. 19.03.19 06:01;Account;Receive;Received Payment 1.5 USD from account U19363969 to account U1294000. Batch: 251559432. Memo: API Payment. Withdraw to allhyips from crypto-trader.cc. 19.03.19 06:01;Account;Receive;Received Payment 1.5 USD from account U19363969 to account U1294000. Batch: 251559418. Memo: API Payment. Withdraw to allhyips from crypto-trader.cc. 21.03.19 05:15;Account;Receive;Received Payment 1.5 USD from account U19363969 to account U1294000. Batch: 251901026. Memo: API Payment. Withdraw to allhyips from crypto-trader.cc. 20.03.19 06:24;Account;Receive;Received Payment 1.5 USD from account U19363969 to account U1294000. Batch: 251738243. Memo: API Payment. Withdraw to allhyips from crypto-trader.cc. 23.03.19 07:18;Account;Receive;Received Payment 1.5 USD from account U19363969 to account U1294000. Batch: 252246780. Memo: API Payment. Withdraw to allhyips from crypto-trader.cc. 22.03.19 05:18;Account;Receive;Received Payment 1.5 USD from account U19363969 to account U1294000. Batch: 252069496. Memo: API Payment. Withdraw to allhyips from crypto-trader.cc. 25.03.19 05:24;Account;Receive;Received Payment 1.5 USD from account U19363969 to account U1294000. Batch: 252489931. Memo: API Payment. Withdraw to allhyips from crypto-trader.cc. 24.03.19 07:58;Account;Receive;Received Payment 1.5 USD from account U19363969 to account U1294000. Batch: 252379537. Memo: API Payment. Withdraw to allhyips from crypto-trader.cc. 24.03.19 07:58;Account;Receive;Received Payment 1.5 USD from account U19363969 to account U1294000. Batch: 252379527. Memo: API Payment. Withdraw to allhyips from crypto-trader.cc. 26.03.19 05:59;Account;Receive;Received Payment 1.5 USD from account U19363969 to account U1294000. Batch: 252644381. Memo: API Payment. Withdraw to allhyips from crypto-trader.cc. 28.03.19 05:28;Account;Receive;Received Payment 1.5 USD from account U19363969 to account U1294000. Batch: 252939996. Memo: API Payment. Withdraw to allhyips from crypto-trader.cc. 28.03.19 05:27;Account;Receive;Received Payment 1.5 USD from account U19363969 to account U1294000. Batch: 252939858. Memo: API Payment. Withdraw to allhyips from crypto-trader.cc. 30.03.19 05:30;Account;Receive;Received Payment 1.5 USD from account U19363969 to account U1294000. Batch: 253212117. Memo: API Payment. Withdraw to allhyips from crypto-trader.cc. 29.03.19 05:26;Account;Receive;Received Payment 1.5 USD from account U19363969 to account U1294000. Batch: 253082467. Memo: API Payment. Withdraw to allhyips from crypto-trader.cc. 31.03.19 06:10;Account;Receive;Received Payment 1.5 USD from account U19363969 to account U1294000. Batch: 253317910. Memo: API Payment. 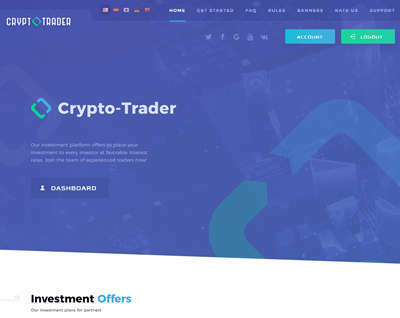 Withdraw to allhyips from crypto-trader.cc.